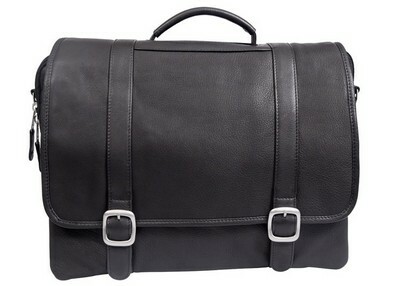 Transform any place as your work space by carrying your laptop in the style, using the Willow Rock Leather Computer Briefcase. It is made of full grain cowhide material and comes with a 420D/PVC backed lining. Transform any place as your work space by carrying your laptop in the style, using the Willow Rock Leather Computer Briefcase. 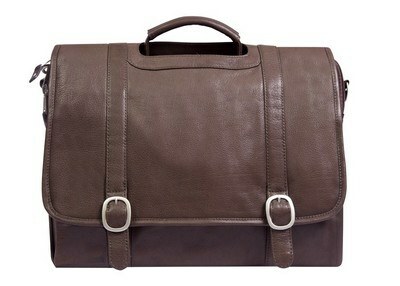 It is made of full grain cowhide material and comes with a 420D/PVC backed lining. It features a padded computer sleeve to fit in your laptops and tablets. It has a flap closure with an interior organizer for pens, software, and calculator. The ergonomic comfort shoulder strap can be detached or adjusted from 39” to 54” which makes it easy to carry the briefcase. The bag makes an excellent gift for business men, sales executives, and freelancers, and provides a wonderful advertising opportunity for your brand. Minimum number of items in each order: 5 items.